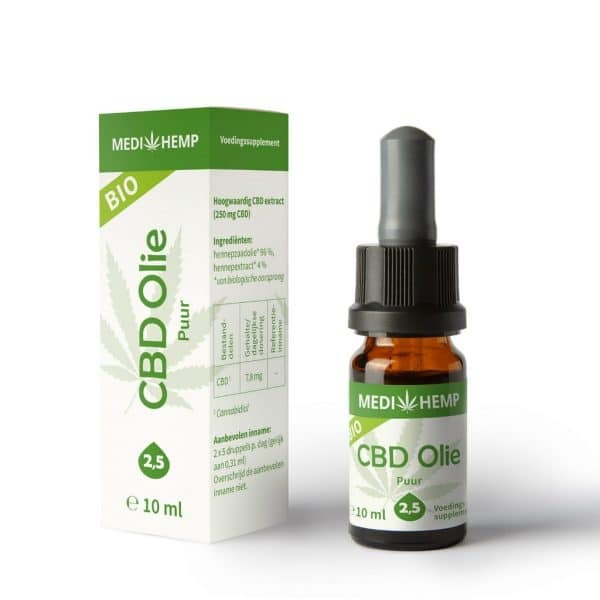 Save €7,00 when ordering a bottle of 30ml. 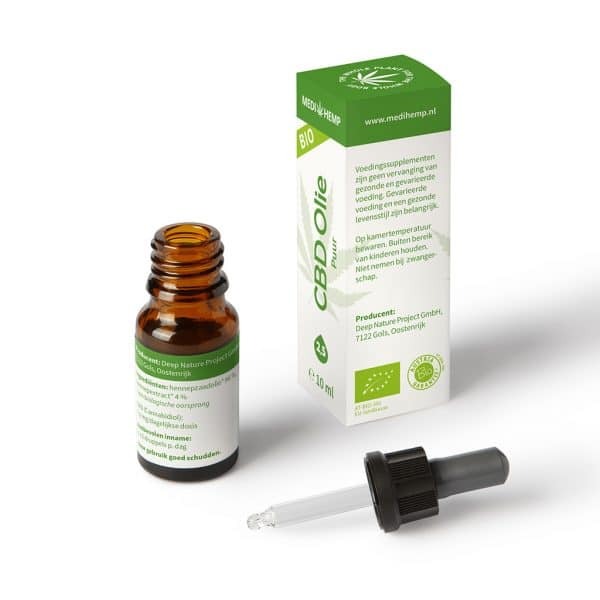 Click here for 30ml. 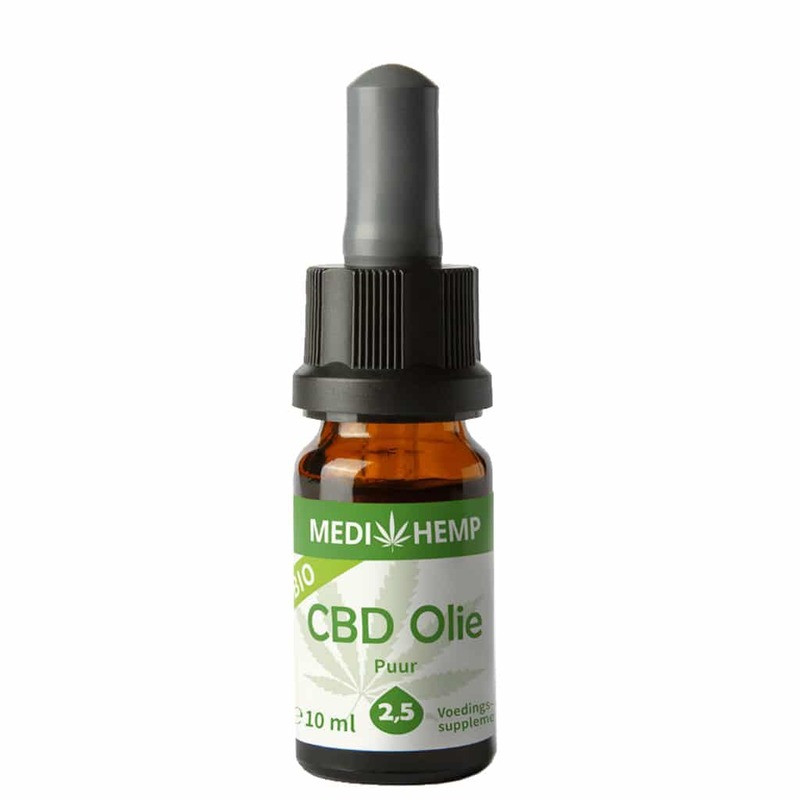 Medihemp biological CBD oil with 2.5% CBD is a fully organic product made from biological hemp plants. 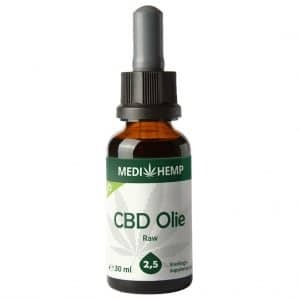 The cannabis seeds used to grow these plants have not been genetically modified, no pesticides have been used, and the harvest is handpicked. Medihemp is the only biologically certified CBD manufacturer, making its products among the most reliable on the market.Medihemp biological CBD oil has a nutty taste and is much milder than, for example, the Medihemp CBD oil. Precise dosing is fast and simple because each drop contains 1.25 mg CBD. 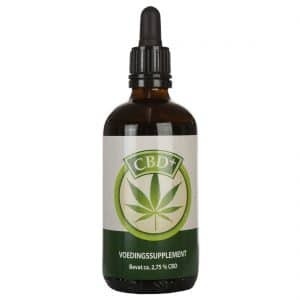 The CBD oil does not cause a high because it contains less than 0,05% THC. 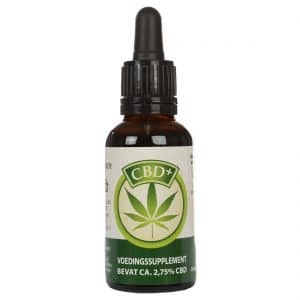 We recommend CBD 2.5% for children and pets only. For adults, we recommend a minimum of 5%. 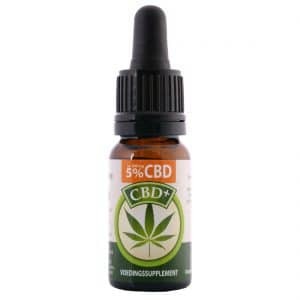 For 5% CBD click here.